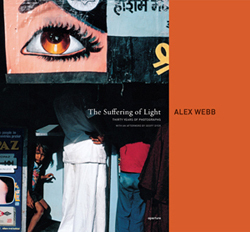 This entry was posted on May 30, 2011 at 7:03 am and is filed under Books, Exhibitions, New book, New Book, On Collaboration, On the Street, Photographers, Talking Pictures, The Suffering of Light, Together and Apart, Uncategorized, WebbWorks. You can follow any responses to this entry through the RSS 2.0 feed. You can leave a response, or trackback from your own site. Looks like a brilliant exhibit at the MFA, and kudos to you both! Wish that I could see you guys at Aperture. Have a good time, and celebrate! I’m going to buy this book but there are two different on Amazon.co.uk. One is Aperture and one is Thames & Hudson. Can you describe any difference between them? I believe one publisher is american while another is european.